Quartetting provides a nearly infinite amount of opportunities to perform for local and international audiences, and through the Society instantly become a part of a huge community of singers. 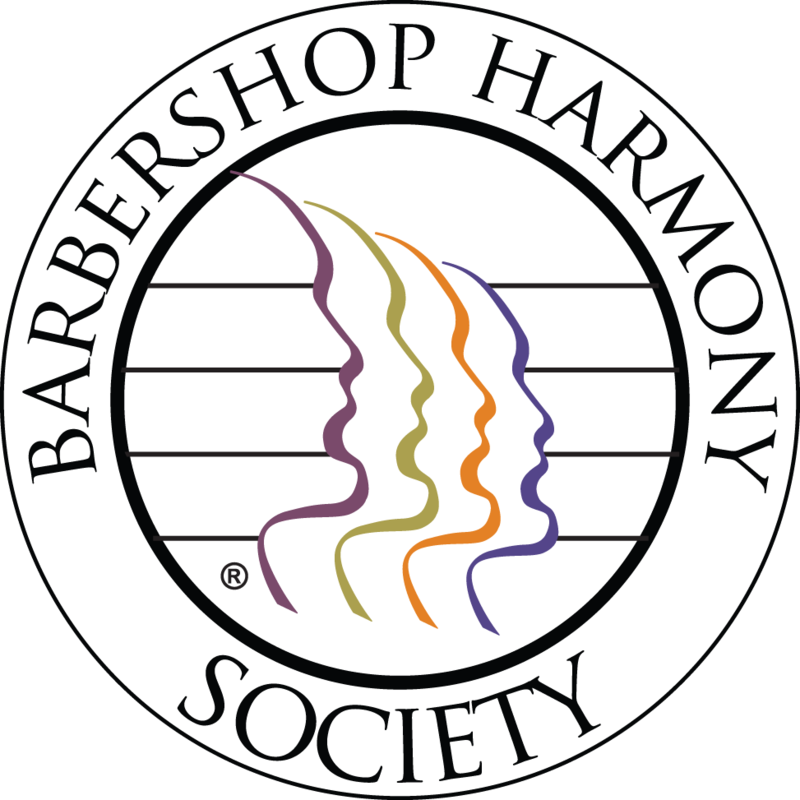 If you're interested in finding a quartet that is registered with the Barbershop Harmony Society, you can utilize the BHS Member Center to search by Name, Proximity or District. Also, on the BHS Website, you can find information to learn more about the types of songs you can sing, the types of quartet you can be, and the different genres that are available in the barbershop style from our vast library of sheet music and resources. The below tutorial will show you how to utilize the BHS Member Center to Find a Quartet in the U.S. or Canada. You can visit the BHS Member Center by going tohttp://members.barbershop.org in your web browser. There is no need to login to see or locate a quartet. 4. 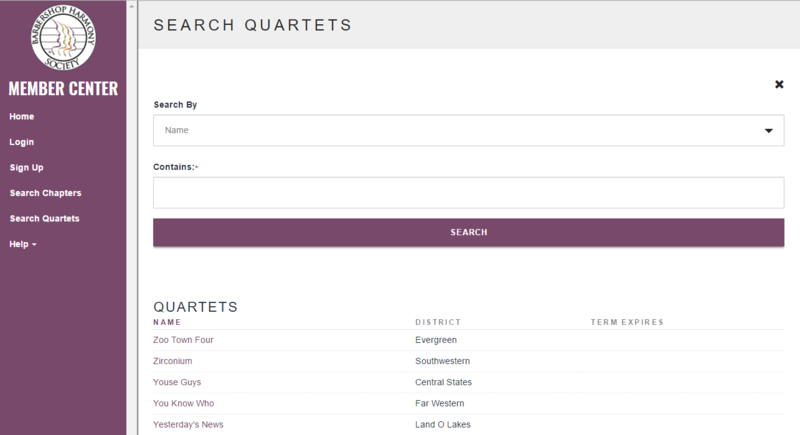 You can search by Quartet Name, Proximity or District in which the quartet is affiliated with. 5. For example, we will use the District tool to find quartets in the Ontario District. 6. After entering the information and selecting SEARCH, the quartets that are affiliated will appear. 7. 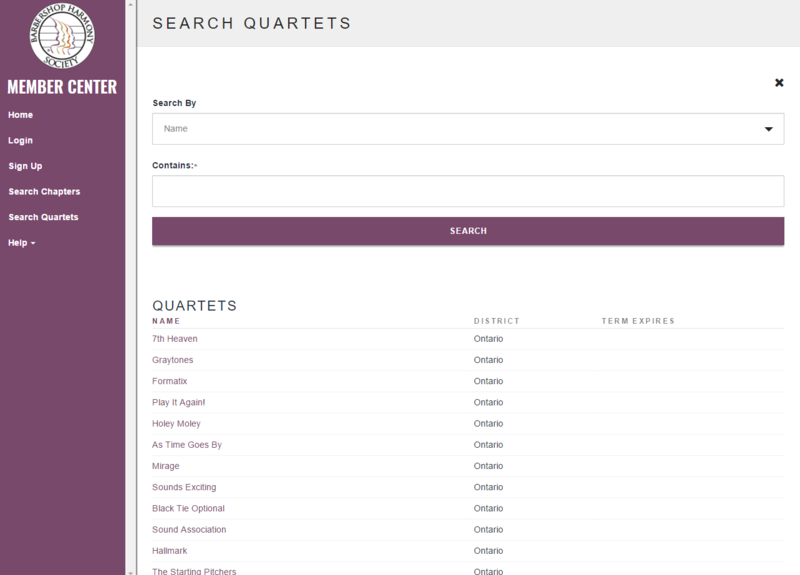 If you'd like to see more information about the quartet, you can click on their Quartet Name. Information such as their contact information, website, social media sites, and other information provided by the quartet, will display.